"Sapphire" is a blue peacock, her royal blue crest she wears proudly every day. Peacocks colors remind me of sparkling gems. 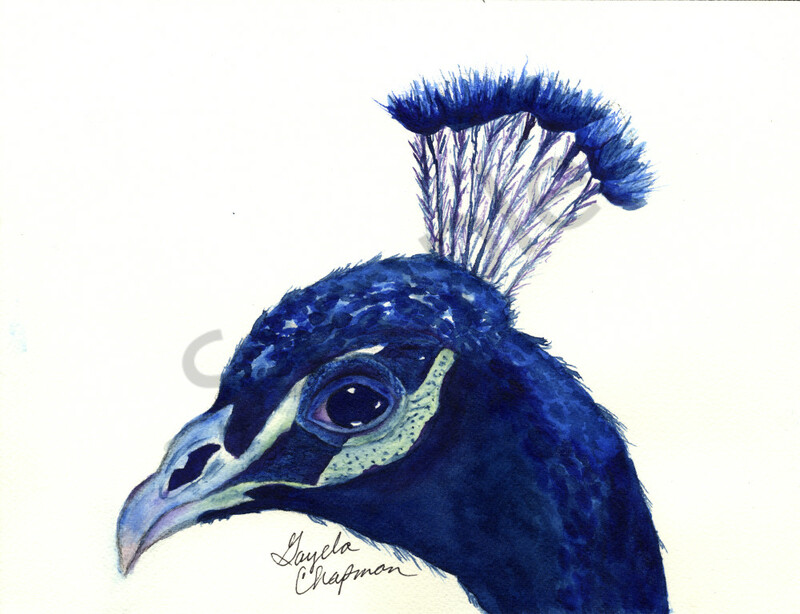 This painting was inspired by memories of my grandparents having peacocks in their yard when I was growing up and I used to love to watch them.